To have the deep love of a friend is to have the shelter in which to embody more and more of the essence that we each are. 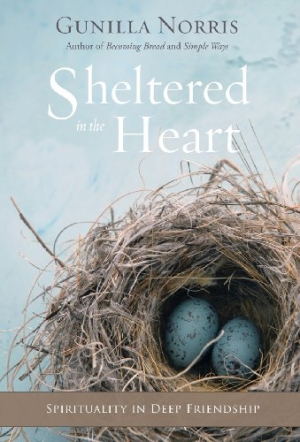 In her book Gunilla Norris shows how in holding each other with trust and compassion our shells fall away and we emerge into the world as freer beings. Participating in a true friendship is profound and holy work. This book is a gift for the journey.